Google+, the latest iteration on social networking from Google, is here. As always, when it’s just the first trickling of people joining up, the way the tool is used, the depth of some functionality, and the technical issues are all a bit out of proportion. With all of that as a grain of salt, I want to share a few reflections focused on security and control – the items touted ahead of launch as the elements separating Google+ from Facebook. 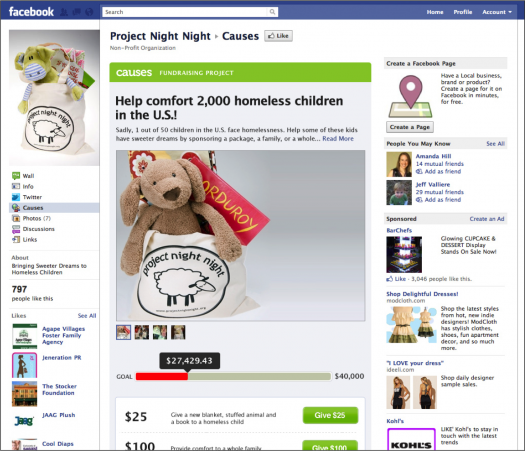 Project Night Night’s Causes Fundraising Project page. Causes has just released a fundraising tab for Facebook Pages, which is great news for nonprofits that have been investing in Facebook but struggling to find the right fundraising solution for that audience. It’s also a huge opportunity to bring your social media community into the inspiring fundraising campaigns you’re running through other channels. So far this year, $3 million has been donated to Causes fundraising projects, and nonprofits of all sizes, budgets and missions are finding they are the most effective way to do online fundraising. Go to your Page and click Causes in the left sidebar. Anyone who reads the Kiwanja.net blog, or who follows our work with FrontlineSMS, will know there are two main themes that run throughout our work. First, how do we lower the barriers to entry for NGOs looking to deploy mobile technology in their work? And second, how do we help share information about what mobile means in the developing world to the widest possible audience, i.e. one outside traditional development or technology circles? A good example of the second theme is our recently launched Mobile Message series running on the National Geographic website. We’re also targeting non-mobile-for-development and non-ICT4D conferences and contributing chapters to books and giving interviews to magazines, which take the message to a new audience. The latest was a piece on mobile innovation for an in-flight magazine for travellers on flights to Africa. 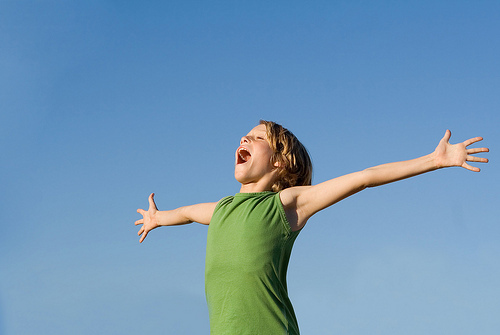 One of the central benefits of social media is the ability to share content with just one or two mouse clicks. Your supporters are already sharing interesting content on Facebook. They’re retweeting it. They’re favoriting videos on YouTube as well. All with one mouse click. But even though sharing has gotten easier, actually getting people to share can feel like pulling teeth. And when when you see other non-profits getting thousands of views on YouTube with what seems like no effort, it’s downright frustrating. So how do you get people to share your content?